Whether he wins or loses, the Boss is a pain. Through acerbic statements and stabbing reproaches this is the categorisation of an entire social group that is gradually subject to a seemingly irreversible semantic shift. Since bossnapping was brought back into fashion over the past years, 2016 has displayed insidious conflicts that have however proved to be efficient. On Wednesday on the French radio channel France Info, Jean-Claude Mailly, the boss — sorry, General secretary — of the french worker’s party Force Ouvrière was invited by French presentator Philippe Vandel in the show « Tout et son contraire » (Everything and opposites). It was the opportunity to discover the latest disdaining discourse towards the concept of boss that he would not dare use for himself. If you did not get the chance to listen to him, in the script, there was a bit of « the notion of boss is always somehow negative ». It is not the sentence in itself that is questioned, but rather the rejection of a position, a status within an organisation. Would the designation as « General Secretary » suddenly become more acceptable just because it does not obviously place an individual at the top of the hierarchy’s pyramidal structure? This little sentence and the vision it conveys of top managers no longer seem to shock anyone. Anybody would think that it has become common to consider the boss as an unpleasant figure by nature, a figure stripped off of any sense of common good. In my previous blogpost, I wrote on bosses’ mental health. An issue that has been tackled by some media recently, a phenomenon in touch with reality that however does not help — far from it — to change the reputation that entrepreneurs and other bosses are stuck with. Worse than that, showing that malaise is exacerbating things: if a boss is not able to display humanity towards others, why should we ever pity him ? Nowadays this deeply anchored negative perception of business leaders is found not only in the media, but has also become a source of advertisement : over the past months, no less than three full-length feature films have championed this anti-boss trend. Who else besides François Ruffin takes advantage of social conflicts for self promotion? The issue here does not rely upon the existence of these cinematographic productions, but rather, in my opinion, upon the hypocrisy of some individuals such as François Ruffin who, cover of humanist ideas, have granted themselves the right to judge their counterparts to cater to their own needs and personal ambition. François Ruffin, chief editor at Fakir, a satirical magazine, and director of the movie « Merci Patron! » (Thanks Boss!) crystallises this behaviour : considered as one of the founders of the Nuit Debout protest (the French equivalent of Occupy Wallstreet), he took advantage of the movement by broadcasting his movie on public squares all across France during the first night happenings…a real marketing lesson from someone who pretends to denounce capitalism’s practices and symbols. However, once the movement was well into place, and once François Ruffin was outshined by other more charismatic personalities, his views had changed radically. All of a sudden, « From the very first night [he] had felt the limits » of the movement, or « he had never expect much from it ». Nuit Debout?« a bunch of students, few working class people ». From the very first night demonstrations the movement had not convince him : perhaps — like him himself — a bit too much fashionable-bourgeois-bohemian-middle-class alike? Would François Ruffin struggle to go on with what has not been imagined and dictated by François Ruffin himself? An attitude so irreverent that some activists have felt like they had detected some sort of frustration. « François Ruffin had not managed to take control over the movement so he made a blunt decision for everybody : «Come on, this is enough, we quit ». When other personalities whose values and commitments he shared turned away from him : « His primary goal was to monitor the distribution of his movie and to get himself talked about », « he has usurped the paternity of the movement Nuit Debout and taken advantage of it for marketing, or even political purposes » Raymond Macherel declared. Macherel has worked on the distribution of the movie « Comme des lions » « Like lions », a documentary released the same year that recounted two years of social conflicts from the workers’ point of view in the PSA’s industrial conflict at Aulnay-sous-Bois. And yet, despite this sudden volte-face, François Ruffin was still conscientiously invited on TV and radio studio sets to talk about Nuit Debout and used the opportunity to joyfully refocus on the success of the movie, oh so very much in phase with current social aspirations. « Merci Patron! » « Thanks boss! » was then the only issue worth being discussed. This movie, the claimed objective of which was to showcase a social and human reality, could at least have had the courtesy of being honest. That the little intellectual bourgeoisie (François Ruffin), unites with the working class, (here the Klur family, whose mother and father have found themselves unemployed because of the shutting down of their factory in the North of France nearby the city of Valenciennes), to attack the capitalist oligarchy, almost fell under a conventional pattern. On the other hand, creating hazardous shortcuts to widely raise the idea that the company the Klurs were part of belonged to the LVMH group, means standing alongside fiction and sensationalism. 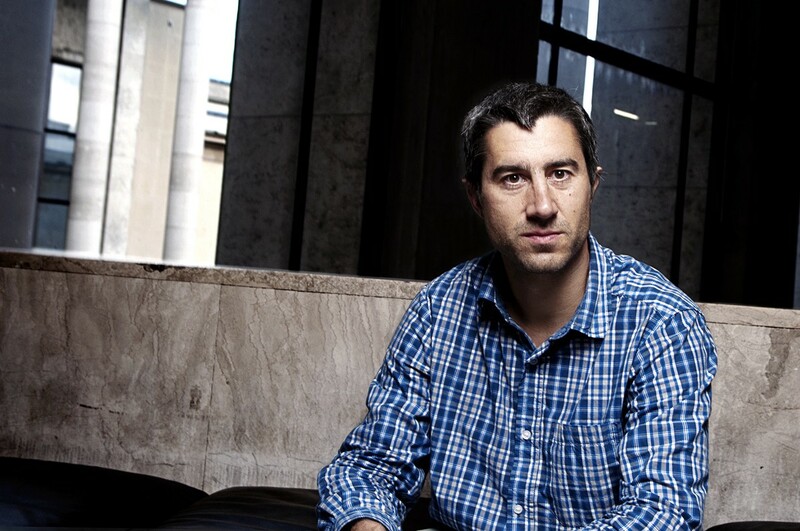 « A company in LVMH’s bosom » said François Ruffin himself. Changing your supplier or massively firing people from your company for sure does not arouse empathy nor the same emotion, so let’s change reality a bit then, let’s use words subject to interpretation and the media will do the rest : the Klurs will turn out to be LVMH’s employees. It all relies upon the power of suggestion, and it works! And if only that was it ! Under François Ruffin’s dictate, the Klurs have also become blackmailers, lead to fight against a condition that is considered unfair through blackmailing means — which seems to be a crime to me — always under a whimsical and comical mode. Robin Hood’s methods have dramatically changed. The fact remains that we could have expected worse from he who declared about Air France’s human resources director that « getting his shirt torn apart was a minimum ». All of this wrapped up, the funniest of all remains perhaps that François Ruffin gets angry when he is being asked what he plans to do with the money earned with his movie. Because honestly, a movie that costed « 40 to 100 000 euros » among which 20 000 euros were raised through a crowdfunding campaign, that sold more than 500 000 seats to the box office, seems to be quite profitable ! Besides, you get a little smile when you take notice of François Ruffin’s hot-headed critic of Nuit Debout. After all, Merci Patrons!’s viewers are a perfect illustration of it : a noisy bourgeois-bohemian audience facing with a working class that remains puzzled at the joke. And a movie director who advocates he will change the world by banging on bosses, whilst acting on the basis of more than contestable rules. What a shame!